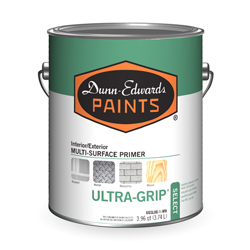 ULTRA-GRIP® Select is a Zero VOC, acrylic multi-surface primer designed for a wide range of interior and exterior applications. 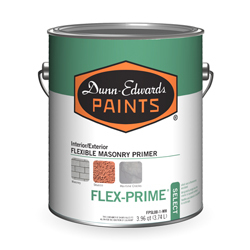 It provides excellent adhesion to properly prepared drywall, wood, and masonry, as well as hard-to-stick surfaces, such as aged alkyd, aluminum and galvanized metal. 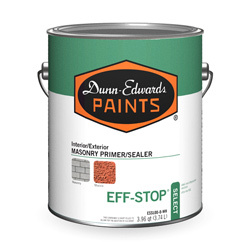 ULTRA-GRIP® Select has very good stain blocking, hide and excellent enamel holdout. 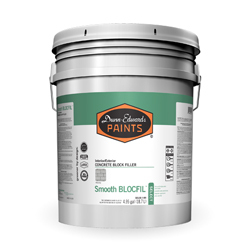 It applies smoothly, dries fast, and is compatible with all Dunn-Edwards latex and alkyd finishes.